Carrie Nanney, a 2001 Belmont alumna and former member of the soccer team, recently ended her first year of playing professional women’s football with an undefeated team record and a world champion title. Nanney plays as a kicker on the offensive line for the Utah Falconz. In July, the team made it to the world championship game in the Independent Women’s Football League (IWFL), where they rose above competing team the Minnesota Vixen. Nanney plans to continue her time with the team during next year’s season. 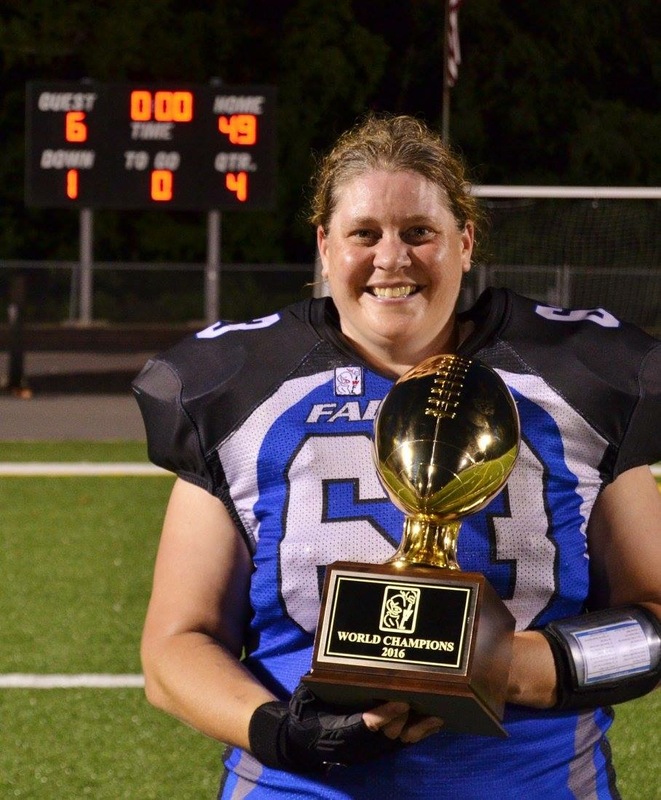 Nanney started her football career in high school, when she broke through gender barriers by playing as a placekicker on her high school’s boy’s football team. She played for two years before graduating and moving to Nashville to attend Belmont as a broadcasting major. While at Belmont, Nanney got involved with the very first women’s soccer team and played for two years. She also worked full time at the YMCA in Green Hills and interned in the sports department for Nashville’s News Channel 5. Nanney moved back to her hometown of Salt Lake City in 2002 and currently works in the marketing department for a non-profit higher education organization. Nanney continued to play soccer for parks and recreation leagues once she was back in Salt Lake City, but she missed the competitive atmosphere and team environment of Belmont’s soccer program. Playing for the Falconz provided her with the exciting sports environment she had been missing. For more information on Nanney’s journey, check out this feature article written by the Colorado Springs Gazette.